Redevelopment plans devised by the South Australian government are underway to transform the old Royal Adelaide Hospital site into a luxury rooftop tent hotel. The hotel will comprise of a total of 14 canvas tents placed on the old hospital rooftop and helipad. The transformation will begin as soon as SA Health completes the three-day move of patients and staff over to the new hospital site. 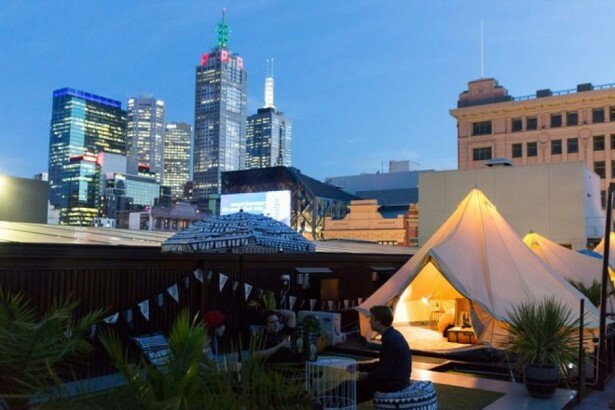 Once open for business, a stay at the much-anticipated tent hotel will cost $400 a night, Urban Development Minister, Stephen Mulligan, revealed. "It's been extremely successful in the high-rise buildings of the Melbourne CBD and it's something we're bringing to Adelaide", Mr. Mulligan remarked about the venture. "We want people experiencing particularly some of the old beautiful heritage buildings, and also keeping people around that part of the city to continue providing a boost to the East End". However, redevelopment plans for the old hospital site don't just stop with the tent hotel. The Government has already announced that a third of the old hospital site is to be integrated with the Adelaide Botanic Gardens. There will also be a state-of-the-art research institution created, along with new multi-storey apartment buildings. The exact details of the overall redevelopment plan for the old hospital site are to follow at a later date, Mr. Mulligan explained. The government has provided an estimated time frame of four years and a budget of $150 million to demolish some of the buildings at the old hospital site.